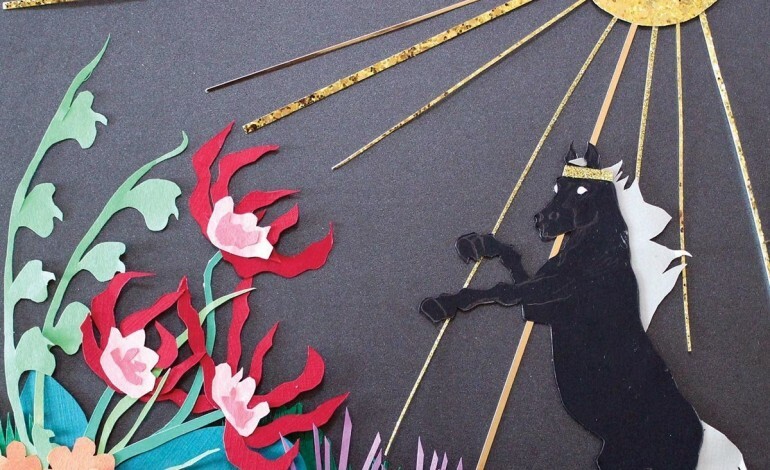 On the cover of Big Business’s latest album, Command Your Weather, are a few colorful plants, a menacingly dark horse and a bright glitzy sun, all done in a playful paper cut-out style. On their own, each of these elements represents a somewhat discordant idea, making the picture that they create uniquely jarring. Big Business, who have been a band for 12 years, following tenures in notable Seattle bands, are now veterans of the avant-garde music scene, fully capable of creating music that sounds exactly the way they want it to. Just like its cover, Command Your Weather is all at once colorful, dark, glitzy, playful and jarring. Big Business originally formed as a two-piece, featuring only drums and bass, before adding a couple guitar players midway into their career. Command Your Weather was recorded following a split with their most recent guitar player, making the band a two-piece once again. This means that their sound is more bare bones than recent recordings, but their experience has led them to branch out and experiment with new and unconventional approaches to their sound, distancing themselves from the brasher, more punk songs of their earlier albums. A bell-like instrument, for example, is used to create the melody of opening track “Last Legs,” and is featured in some manner on most of the other songs on the album. It sounds like a brighter version of the bells in the beginning of Tom Waits’ “Clap Hands.” For a band that’s most often considered to be part of the metal scene, featuring a twinkly bell-like instrument on a number of tracks is one unconventional move amongst many that helps to place them in conversation with a larger group of avant-garde or experimental rock bands. Many of the songs on the album are written in a major key, meaning that a lot of it sounds oddly happy in a way seldom heard in music on the heavier side of the spectrum. Their distorted major key riffs recall the recent work of Torche, with whom they toured in 2014. However, whereas Torche writes tight, pop-ish songs, Big Business remains committed to unconventional time signatures and frequent repetition, favoring subtle shifts in atmosphere over conventional song structures. This is some of the least metal-sounding material Big Business has recorded to date, but very liberal use of distortion on Jared Warren’s bass ensures that they still sound heavy as hell. Since Big Business’s sound is unprecedentedly unique this time around, some listeners may feel alienated by a sound that’s intentionally far left field of the status quo, but both longtime fans of the band or just longtime fans of the bizarre or esoteric will likely enjoy a couple of forward-thinking veteran musicians firing on all cylinders.